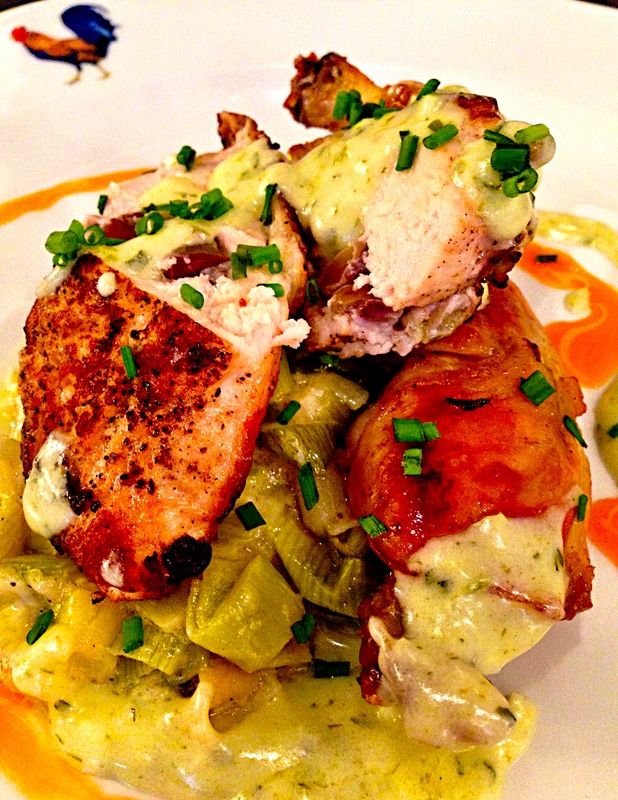 Grape-stuffed breast, confit leg, creamy leeks and tarragon sauce. I promise you won’t miss your starches! 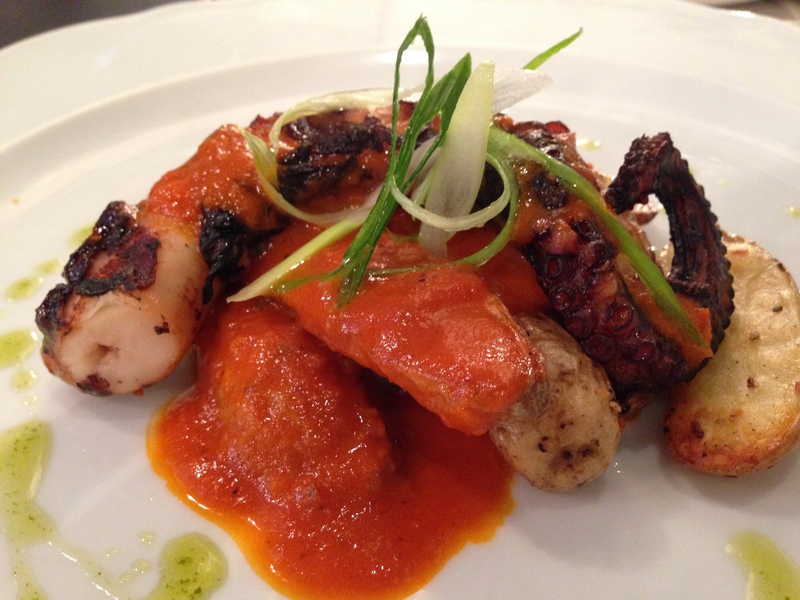 Confit octopus, garlic roasted fingerling potatos, roasted red pepper sauce. I have always professed my love to octopus and I will eat it every time it’s on the menu, but I have to admit that it is hard to cook properly and although I do not mind a slight rubber to its texture most people do. One of the ways to get rid of this ‘rubber’ is to massage the octopus for a good 45 minutes, or, as Matt did, confit it in olive oil.